Situated on Onancock Creek, 18306 Hermitage Road is a Federal style brick and wood-sided home. Built in 2005, an addition was completed in 2014. Secluded by land, this home is located conveniently near the Onancock Wharf via water. 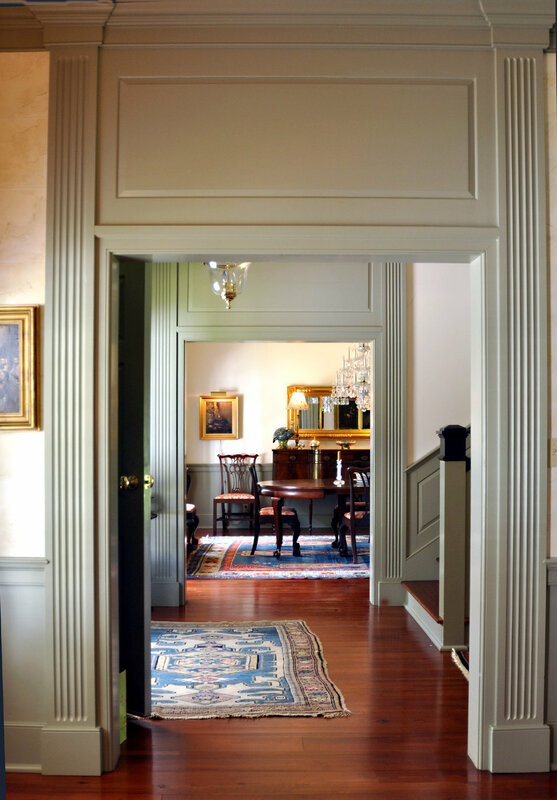 Notable interior features include a hand-painted botanical mural in the front hall, detailed woodwork on fireplaces and mantels and raised paneling in the hall and den. 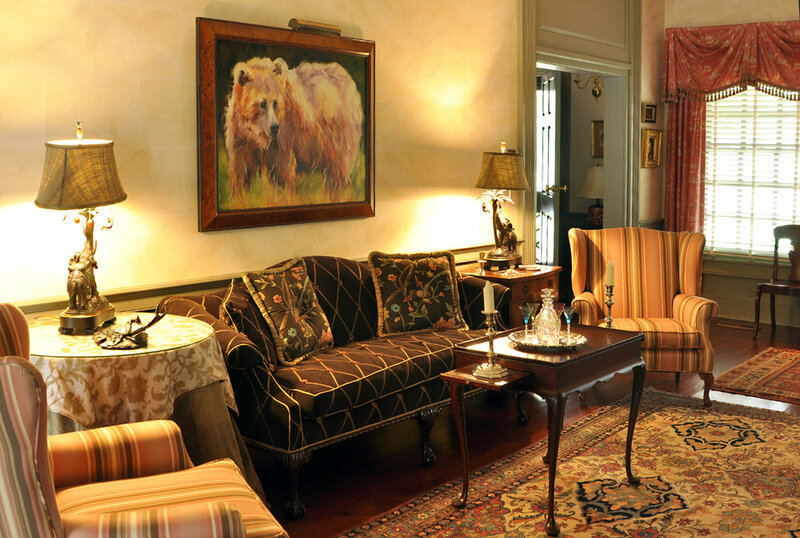 Visitors to the home will enjoy the main floor master suite and gracefully appointed bedrooms with special furnishings such as a handmade needlepoint rug. On the main level, highlights include a 19th century American chest in the living room, assorted porcelain and a vast and diverse fine art collection. Bold use of interior color provides a striking backdrop for the art. Function meets personalization through a series of his-and-hers parlors and studies, each reflecting the homeowners’ varied personal interests. From the back porch, guests will experience a flurry of maritime activity. Fishing boats, pleasure cruisers, sailboats and kayaks on Onancock Creek provide ever-changing scenery. Beautiful waterside gardens, from formal to less structured, add to the grandeur of this property. Open for the first time. George T. and Nell W. Minton, owners.